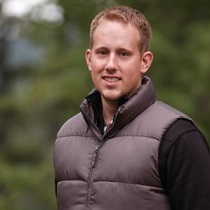 Cameron is a Field Environmental Scientist with Terracon Consultants in Billings. He is responsible for the sampling of soil, water, air, and other media, report preparation, and other assistance in the completion of environmental and industrial hygiene projects. In addition, Cameron has experience in managing budgets and project planning. He is also skilled in volunteer management and client development. Cameron was born in Billings and graduated from Rocky Mountain College with a B.S. in Environmental Science/Environmental Management & Policy. He is currently working towards his M.S. in Land Resources and Environmental Sciences from Montana State University.